Well, I got called out on my last post. It was a very bitter response from me to somebody who implied that I don't work because I stay home with my kids. It didn't really occur to me that what I said would offend moms who work for pay. But it did. First let me say that the statement was made by a man. I feel fine with myself getting livid with a dude over this. It was in no way directed at or a cap on women who by force or desire work for pay outside of their home. I apologize profusely if it came across that way. Over and over the response I got (often from working mothers, who AGAIN I DIDN'T mean to offend!) is that I am "privileged and lucky" to be a stay at home mom. I have to tell you why this rubs me raw even though I know there is a lot of truth in it. "To be completely honest I don't feel "lucky" to be a sahm. It's not something I "lucked" in to. We work dang hard to be able to afford to have me stay home. Often times our grocery budget is $20 a week, we rarely buy anything new, we scrimp and save to buy the things we do have (or just to, you know, pay the utility bill), we rarely eat out. We are not elite, or rich. Me being a sahm is a priority to myself and my husband and children... We choose to do this, we choose to make it work and we sacrifice a lot to make it happen, but it's so worth it. Yes I am blessed, and I recognize that, but this is not "luck" it's work and sacrifice that allows me to be a sahm." "I will say, though, that as a mother who works outside the home, I often want to scold moms who complain about being stay-at-home moms. You are lucky and among the elite if you can afford to do that, and you *don't* know what it's like to have to be a worker first and parent second." I get the "luck" factor. But I have to say that still, my "lucky" life isn't always EASY. Guess what- NOBODIES "lucky" life is all daisies and pots of gold. I think when we say to somebody that they are "lucky" we negate the difficulties that they may experience. We blow them off. We also negate the conscious choices and sacrifices that they may have been willing to make in order to have what made them so "lucky". I have heard people tell my husband how "lucky" he is to be able to be a doctor and have the education he does. I can tell you that I was there when he got that education and "luck" had very little to do with it. There was lots of sacrifice and pain and difficulty to get there and he was willing to do it. I have heard people tell women that they are "lucky" to have a healthy baby when they truly had a horrendous birth experience. YES- she is lucky to have a healthy baby. She is also allowed to grieve the things she didn't get. This is like telling somebody who is single and desires marriage that they are "lucky" to be able to do all the things you can do when single. But if all you want is a family and a partner it doesn't feel that lucky. Or telling somebody in a difficult marriage that they are "lucky" to have a family. Yes, they are lucky, but that doesn't mean it is easy and that it doesn't hurt sometimes. It doesn't mean having that family and keeping it together doesn't require sacrifice. We could tell a woman who is in pain and vomiting daily that she is "lucky" to be pregnant. She is lucky to be pregnant. She still feels sick though. She still hurts. I guess I could call all work for pay moms "lucky" but I utterly refuse to do that. I refuse because they make sacrifices to have their life too and I don't want to negate their work and their sacrifice because they have some blessings I don't. For one, every woman, every person, every mom still has trials. There are difficulties with being a stay at home mom. There are difficulties with being a working mom. I think we all make sacrifices that others don't see and can't comprehend. I think we all are lucky in some ways and that we all suffer in other ways. I had a friend with advanced degrees who was gifted in her field. She also had a few children (the same as me at the time). She traveled the world speaking and teaching. She interacted with people hungry to learn from her on a regular basis. She healed and helped many. Was she "lucky"? Well, yes, she was. She had a lot of wonderful things in her life, things that I don't have. But dismissing her sacrifice and her hard work and her pushing herself and her career and balancing her family the best she could with all of that by calling it "luck" really negates the very real and very hard work that she did. I had another friend with advanced degrees and a great career who chose to stay home with her children. She made her own diapers and studied the best ways to be a great mother. She put time and energy into mothering but she was also able to afford to stay home with her kids and still have a very nice life. Was she "lucky"? Yes she was. But she also sacrificed things to have the life she did. She gave up things to be a stay at home mom. She had difficulties in her life too. Nobody gets a free ride. It might seem like that from the outside but it is never really the case. I am kind of...sad, that my anger about being dismissed as somebody who "worked" turned into "working" vs "at home" moms. It reminds me how quick we as women are to jump on each other. I think we all matter. I think we all have struggles. I think we all have "luck" - good and bad. And I think that most of us keep our ugliest moments and our biggest fears and the worst parts of our lives buried deep inside. It is almost impossible to know WHY people make the choices they do and HOW they really feel about them. I guess I could end this with some pretended wisdom that I have gathered in my 32 (ugh, I mean 28) years. I could talk about how we need each other. I could say we are all in this journey called motherhood together. I could say we all love our kids. But I have said it all before. And I am absolutely sure that I have seen other women and thought they were "lucky" and they should stop complaining. I probably will again. I don't have any wisdom or any way to spread it without being offensive. I love my kids. I bet you do too. And sometimes, life is still rough, no matter how lucky we are. May you find green clovers in you lawn and rainbows over your doorway. This is a sentiment that I have felt so keenly for a long time. You expressed it so well. It does no one any good to negate someone's trials and struggles; to invalidate their very valid, healthy feelings; to belittle and accuse them of ingratitude. It would be grossly unfair of me to tell my friend, every time she had a fight or problem with her dad, "Well, at least your dad is alive. You should be grateful that you have a dad to fight with!" Everyone has their own individual struggles, heartaches, and challenges. It's okay to grieve your losses and express frustration over your trials, whatever they may be. This post has missed the mark for me. There is a difference between insisting everyone is lucky for everything, and acknowledging that being able to make a choice between working and staying home IS a social privilege that not all people have, and does not just exist because some people have worked hard and other people are lazy or have made poor choices earlier in life. Let's not perpetuate myths about poverty by insisting that wealth or the means to be a SAHM exists purely because people have 'worked for it'. ok, so i deleted my first comment because i think it was a bit "fighty". i too dislike the word "luck". i don't think it devalues poverty to say that there nothing "lucky" about staying home. it IS work. 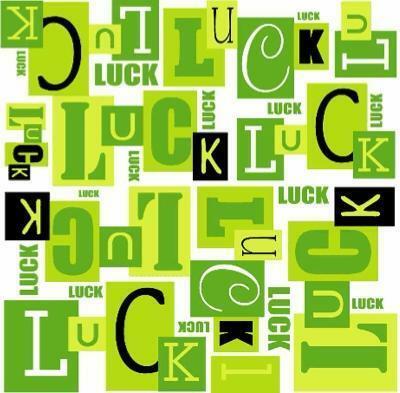 luck always sounds like there is no work involved, like playing the numbers and winning. that is luck. i am a sahm after years of working outside the home. but the only way this is able to happen is years of hard work. dh HAD to go to grad school to get a MEd so he could get the job he has, a job that he is grateful to have but doesn't in any way feed his passions. he works hard at a job he doesn't really like at all. i have worked for years while he got the degree. we both worked hard to make this happen, it just didn't happen. we had to make sacrifices, go without (we still do) to make this work. there was no luck. it was work. @momto5 Hey, I read your comment before you deleted , it wasn't "fighty" at all! I think it's great that everyone is TALKING, I don't understand why everyone has to get so sensitive about people having an opinion - particularly when Mama Birth said over and over that she wasn't directing any of her comments towards mums at all - why is everyone so defensive?? I'm a SAHM to 3 girls, but my husband has been out of work for the last four months and I'm going to miss his help now he's back at work. And whilst I say 'his help' I don't mean that he did any less than me, he did most of the cooking, for example, whilst he was home. Whether you're a SAHM or a working mum or WHATEVER, it's hard work raising kids, there's no doubt about that! The thing is, you can have good days and bad days at home or in an office, but if the bad days outnumber the good then you haven't got the balance right and you need to make a change. If the difference is between a comfortable life and real poverty (which I honestly doubt is the case - no offence to anyone who thinks that they're living in poverty whilst maintaining a car, owning/renting their own home, having easy access to cheap food and fresh water) then of course you have to make the decision as to whether an extra income is worth considering. At the end of the day, the majority of people in the western world have such rich lives, it's too easy to take it for granted and forget to appreciate the good things we do have rather than the things we don't, and that includes attitudes to those working/non-working. Nothing is simply a matter of luck, it's about accepting and valuing what you have and working for whatever you want or feel you need, and not judging anyone else for their choices or opinions. Ah... the wriiten word is interpreted by each and every reader differently, depending not only on their own lifestyle but also on their mood at the time! A combination of that and the old "grass is always greener" argument means this is one sensitive and risky discussion! No one is a winner. I will never say there is no work in being a stay at home mom. That work increases exponentially with the number of children. However, i think that this insistence that there's less privilege inherent in having the ability to CHOOSE to have one parent at home is problematic. Yes, your partner worked his/her tail off to make ends meet and many stay at home parents have to work hard to find a budget. But I have to work hard to budget as well, and we both have to work. I don't have that choice to stay home, I bring in precisely half of our income and we can barely make ends meet as is. I delivered my gorgeous son 2 1/2 months ago but have to return to work tomorrow and it is probably the most gut-wrenching thing I've ever had to do. But i do not have a choice. I will never say it's not work to stay at home but to say that there is little or no privilege and that you can only do it because you've worked so hard to get there implies that other parents are not working hard *enough* even if we have the desire to stay at home. Moms have enough guilt. We don't need more because of conditions out of our control forcing our hand into decisions we don't want. How about instead of feeling the need to attack/defend our circumstance, we support parents who are doing a good job in their own circumstances? I agree, Chloe Grice! I'm so tired of every mom discussion falling into people being offended or taking things so personally rather than just objectively talking about the issue outside of our own emotional ties to it. I don't like the word luck either. It does imply that it just 'happened'. Whatever our state in life, a whole darn lot of it is determined by our choices, whether we knew it at the time of the choice or not. That doesn't mean someone is to blame for it. It's just how life works. Yes, there are things that occur outside of our conscious decision that greatly affect us (like health or family stuff), of course. But to acknowledge that I've made some choices I regret and some of which I am proud is a healthy thing, I think! Is it just that we don't want to admit that we've made mistakes even when we know it is not necessarily something we did 'on purpose' so we have to validate ourselves by calling other people 'lucky'?? I don't know. Is being able to be a SAHM a social privilege? In some ways but in most ways, it is not something that has to do with luck. At the same time I acknowledge that there sometimes still mothers who are not able to make the choice they want to make because of 'bad luck' or unforeseen circumstance. To me, luck doesn't equal easy. If I say someone is lucky to stay at home with their kids (something I desperately wish I could do and will do eventually) I am not implying that it is easy. Very few life choices are "easy" but you can be lucky with hard work too. Luck to me is being able to do what it is you want, currently, finances don't allow me to stay at home, but we are going to get some things paid off and then I will be lucky enough to stay home. I will be lucky enough to get to clean the house, do the laundry, cook, and take care of my little one. I see that as lucky. Right now, I am lucky to have a job that is helping me to get to the point where I can see a way to stay home. I just think we need to rethink how we use the word luck. Luck: a combination of circumstances, events, etc., operating by chance to bring good or ill to a person (from dictionary.com). It doesn't equate to easy or hard. Just a circumstance. That's just my 2 cents though! I think we're confusing 'luck' with 'privilege'. They are not the same thing..although sometimes they overlap. I also think there is an inherent disrespect for individual life-journey's in this discussion. There is no way to determine whether or not hard work = the privilege of being a SAHM..Because even if it does for some, it won't for others, and that does not mean that they work any less hard or are any less 'lucky' than anyone else. Its like comparing apples to bananas..Everyones lives, circumstances, and choices are different and should be valued as equally unique. There is a difference between "luck" and "privelege". Hard work does not always guarantee we'll get what we want, but it does usually increase the chances. We tend to earn more priveleges through hard work, but nothing is promised to us. SOMEBODY usually has to work very hard to earn the privelege of choosing to be a SAHM........it doesn't exist "purely" because people have worked for it. But it USUALLY does. Some families also work their butts off and budget every penny, and STILL require two incomes to support themselves. There is no implication here that those families didn't work as hard. I'm sure they did. Unfortunately, they still don't have the same privelege of choice that other hard-working families do. This is life. Some circumstances are within our control, others are not. Mary and Chloe, you are correct......most people expend alot more energy defending their own circumstances than they do trying to objectively understand others. If they did the latter, they likely wouldn't feel such a strong need to do the former. We can't keep walking on egg shells to prevent offending others. Every angle of this argument is justified, and every person representing each angle should be allowed to express her own experience. It's ok if someone who works for pay feels that those who stay home are privileged. It's also ok if a mama who doesn't work for pay feels like she works just as hard with little recognition. The thing is, we are ALL full-time parents. We are ALL solely responsible for the little ones who rely on us. It's a tough job no matter what and we are all doing the best we can. I've worked full-time, worked part-time and stayed home. I know what works best for my family for right now but that doesnt mean its what is best for every family all the time. All of it is hard. Every option requires support. There are many good choices on the Internet such as Online Paid Surveys, Data Entry, Type at Home, Telephone Answering, Home Based Business just to mention a few. There are also many programs available just for moms that have a desire to work from home.